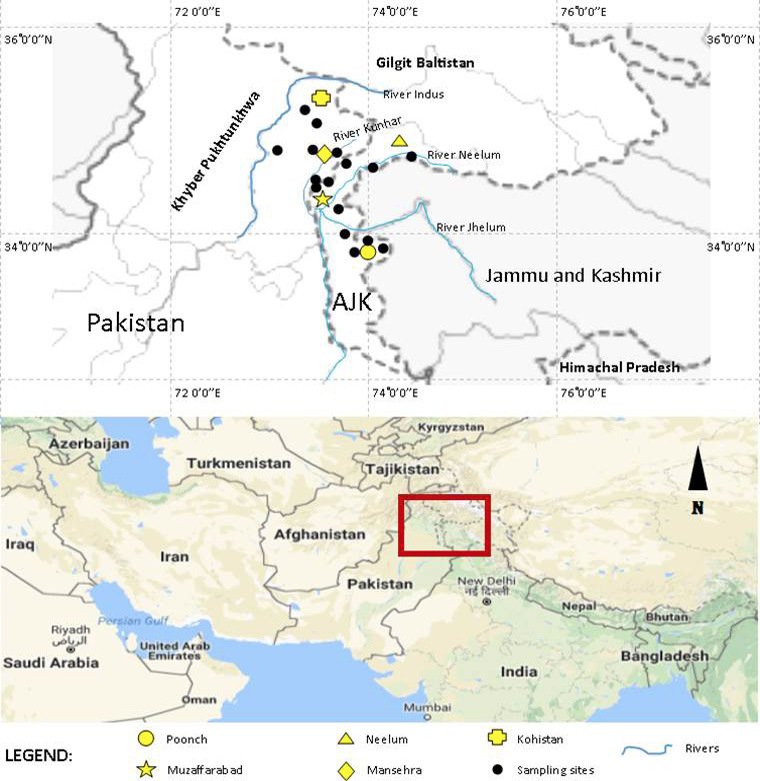 Location map of gray langur populations with sampling localities in Pakistan. 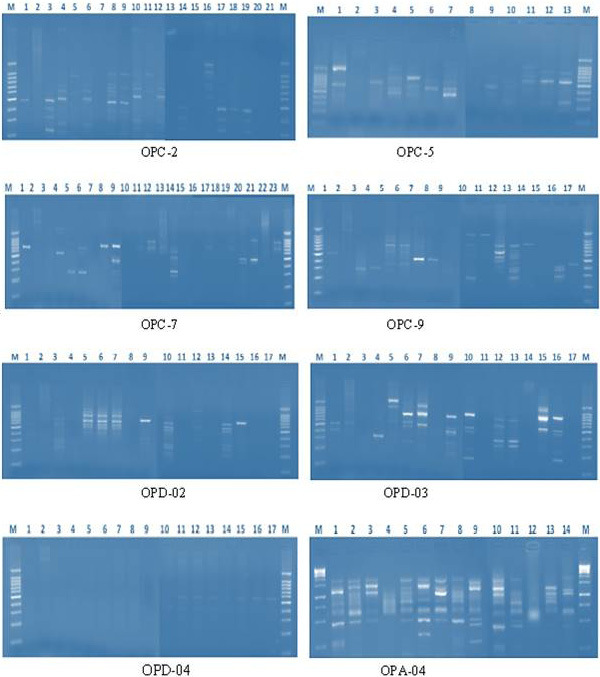 Gel pictures (2%) of PCR products of RAPD markers (1-8) for gray langur populations of Pakistan (M=100bp/1kb Ladder). 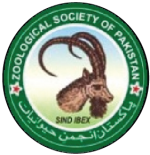 Total Band Patterns for RAPD markers across different populations of gray langur in Pakistan. No. Bands, number of different bands; No. 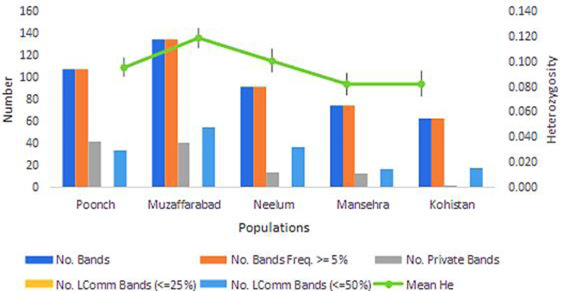 Private Bands, number of bands unique to a single population; He, expected heterozygosity. 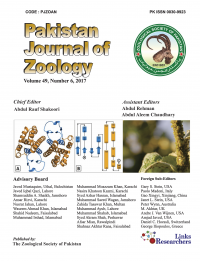 Frequency of polymorphic loci (%) in different populations of gray langur in Pakistan. 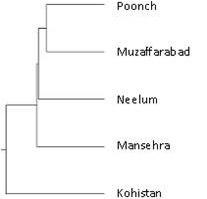 UPMGA dendrogram based on Nei’s genetic distance exhibited by RAPD markers in different populations of gray langurs. Graphical presentation of PCoA results for different populations of gray langur. 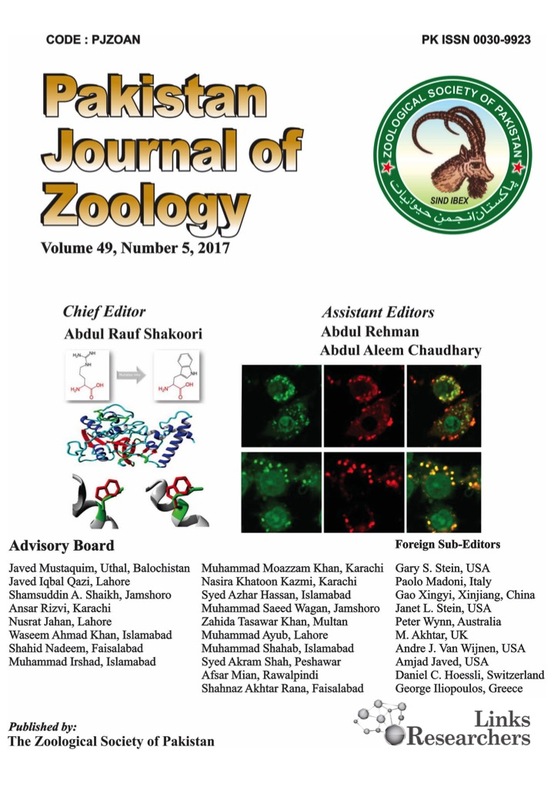 Graphical presentation of PCoA results for different genotypes of gray langur. Graphical presentation of PCoA results based on geographic distance for different genotypes of gray langur. 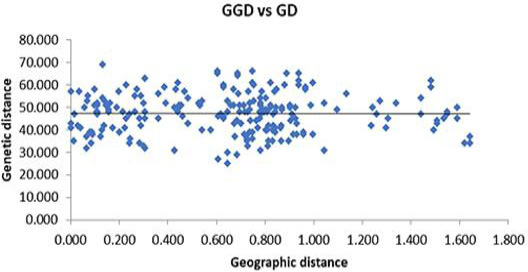 Association between RAPD based genetic and geographic distances as depicted by Mantel Test.